Meet the People (1944). Yip produced this film version of the successful stage musical by Jay Gorney and Henry Myers. 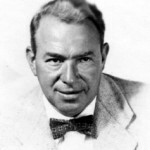 Songs include two written with Sammy Fain (“In Times Like These” and “Schicklegruber”), one with Burton Lane (“It’s Smart to Be People”) and one with Harold Arlen (“Heave-Ho,” sung by Bert Lahr – the last of his collaborations with Harburg and Arlen).